‘…so I decided to call the album Letterbox because what I realized while I was looking through the songs is that many of the songs were like letters to people that I couldn’t write to and so I wrote a song about them. “Angeline” is a song on the album which is about having a best friend growing up and eventually drifting apart. “Glitter Gold” is about for a friend with addiction. There was just one thing after another of these things that I wanted to say to these people but couldn’t do so to their face so it’s the letters to them…and also the Across The Universe song by The Beatles has a line “thoughts meander like a restless wind inside a letterbox” and that’s one of my favourite songs so I wanted to pay tribute to a song that I love so much…’ Signed to Curb Records (home of other artists like Selah, Natalie Grant, OBB, Plumb and newcomer Mallary Hope, to name a few), Marie Miller’s folk/acoustic/pop-country sound is what has initially drawn me to this new-ish artist (Letterbox is her first full length album, after a quasi-successful EP released at the end of 2013), while it has been her compelling and emotive lyrics that has made me enjoy and appreciate much of Marie’s music- alongside her ability to present to the fore issues that aren’t necessarily discussed without the structure of song. Song is very powerful and Marie has shown us in this album that music has the power to evoke emotions within us that maybe we didn’t even know we had. Quite possibly one of the most diverse record label groups musically and stylistically; Curb, which incorporates genres from Christian and Country, to pop, rock, jazz and instrumental, continues to deliver artists that have something to say- and this is nevertheless still true with the introduction or Marie and her music. Marie has managed to undertake what so few artists have ever done- crossing the great Christian-mainstream divide and showing us that it is ok to have a successful music career with songs that appeal in both the Christian and mainstream market. Many artists have done it before- needtobreathe, Skillet, Switchfoot, and to some extent Superchick, Plumb, TobyMac and Jars of Clay as well…yet it is the acoustic nature of Marie’s songs and the heart and message behind each of these songs on Letterbox that makes me appreciate her all the more- as she gives listeners encouragement and topics to think about in each of these songs, we are reminded that very few artists can do this feat, and thus, she is widely appreciated for it. While some artists are called only to the CCM industry, others tend to cast their net wider, trying to reach a wider audience with their message of hope and living for something bigger than themselves. Marie Miller is one of these artists. With this album delving into topics like helping people in need, relationships with significant others, as well as the benefits of friendship and camaraderie, Marie uses her folk/acoustic influences to infuse 12 songs that are some of the most heartfelt and honest melodies of 2017 so far. So then, let me just say this from the outset- Letterbox isn’t marketed as a Christian album. In fact, I’m not even sure if Marie Miller is even classified underneath the umbrella of the ‘Christian’ music genre anymore. Still, most, if not all of her tracks on this album have some kind of emotion, heart, message or even something to get out of it- in fact, all these 12 tracks on the album are in fact inspired by letters, written by Marie and addressed to different people throughout her life. Whether she even wrote or sent them is a different story- maybe it was too difficult to write a letter to someone or maybe that person she was wanting to write a letter to had passed on or moved away. Regardless, all these songs are addressed to someone, with some songs being clearer as to who that ‘someone’ is. That is part of this beautiful ambiguity, that these tracks can minister and encourage someone who is seeking comfort in whatever circumstance. God can, and I’m sure He certainly does, use these songs on Letterbox to speak to people about their own relationships with their fellow man (or even their relationship with Christ Himself), as Letterbox becomes one of the most musically different and thematically and lyrically layered collection of songs I’ve heard throughout all of 2017 thus far! As we look through the 12 tracks, we see a theme that has been threaded through from top to bottom, about how the letters we write can be as poignant, impacting and compelling for the person who the letter was directed to, as well as the person writing it too. Each song on the album is a reminder of the necessity to speak our minds in love to the people in our lives before it was too late…like I’m sure it was too late with some letter-songs written on this album. Nevertheless, Marie pours out full of enthusiasm and energy, which is very much brought to life initially with “This Side of Paradise”, the first track on the album. Featuring strong electric guitars and an overall general rock presence; Marie presents to us a song full of loss, yet one that is extremely hopeful as well, that in spite of everything that has gone wrong, as the song suggests in the verses, we still ‘got the moonlight’, a moment when we realise that we still have things to be thankful for- our friends, family and even our Father in Heaven taking a necessary interest in our lives thus far. As Marie divulges herself, ‘…I wrote “This Side of Paradise” with Ian Fitchuk and Peter Groenwald after a really difficult week for me. The choice was to wallow in my sorrow or step back and celebrate the simple and profound gift of moonlight. The first verse indicates that change of heart while the second verse expresses the need for freedom from outside influences that could shake one’s spirit. This song is hopeful and daring. It also contains that little bit of fairy tale and enchantment that weaves itself quite seamlessly throughout the rest of the album…’ Though only standing at 2:48, the song itself is catchy musically, and looking deeper, has a message we all can relate to in this life full of struggle and difficulty. With a heavy piano riff to start off “Boardwalk”, we are met with another emotional rollercoaster as Marie uses this song as a cry, asking the question ‘why’? The song paints a picture about how a relationship between friends (or between boyfriends and girlfriends) is going well, up until one party decides to leave without warning. This ‘letter’ is in response to such an experience, wrestling through the thoughts of abandonment, and longing for a reason why, even if the answer may not come straight away. Marie also uses this song to draw parallels between her own life and the life of her parents, reminding us all that our parents used to go through similar things to us all those years ago, that what we experience can be unveiled to our parents in the hope that the wisdom they give us about how they handled such issues can help us navigate our own. 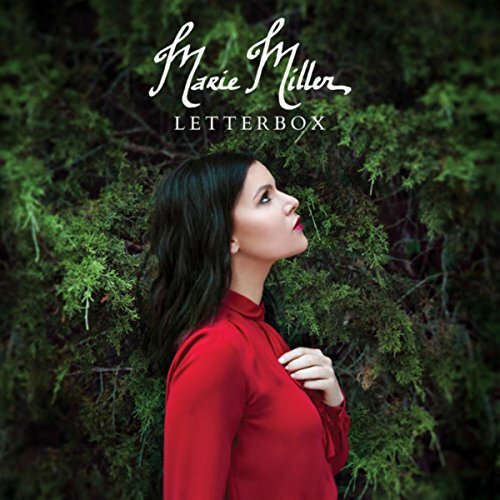 Catchy and poignant, heartfelt and even to some extent heartbreaking, Marie uses emotions to tug at our heart strings, making Letterbox one of the albums in 2017 where we have the tissues right beside us from start to finish. “Lost At Sea” carries on from “Boardwalk” in how we are presented with a relationship-style melody as Marie asks the question- are we lost at sea? Whether the question is poised to her friend, her boyfriend, or just asking the question, about whether we’re lost in the sea of the mundane, in a life where we as friends and family need to be firmly planted and grounded in a foundation that can’t be shaken with the tides; “Lost at Sea” nevertheless asks a myriad of questions, and that is a good thing. The bouncy drum-filled music atmosphere helps as well, as this track musically is the most gripping and riveting out of any in the entire album. “Next Best Thing” is Marie Miller’s answer to Carrie Underwood’s “Good Girl”, or even her song way back in the day “Before He Cheats”, as Marie invites us to hear this mandolin filled 2:49 long hard hitting song about warning a fellow friend about a toxic relationship they are going to dive into. The warning in the words of how ‘…a bad boy only wants a good girl til he sees the next best thing coming…’ is certainly true in this shallow and appearance driven society, so such a song like “Next Best Thing” was probably written by Marie for someone who needed such advice long ago- whether that person took it or not remains to be seen. “Angeline” utilises synth keyboards, mandolins as well as a country-esque folk atmosphere, to present the theme of loss and grieving, as “Angeline” describes a moment and situation in the life of Marie where she has lost touch with ‘Angeline’ (not sure if there is a friend in her life called Angeline, or whether the name is actually a pseudonym for just a friend) over the years. This song is actually a way of pouring out the emotions and wishing things could’ve been better in the relationship regardless of the circumstances, as Marie continues to present poignant and heartfelt themes as the album continues. “Story” shows us how we as humans each have a story to tell in this life, and that us and us alone can bring to light what we carry- hope, light, encouragement and comfort, as we play out our stories of overcoming, experience and discovery for the world to see and take note of, and hopefully become inspired by why we live and how we live in the process. “Stones You Throw” is sobering to say the least, this acoustically driven melody speaks of how your actions have consequences, that what we carry and how we act in certain circumstances have effects that are like ‘ripples’ from the ‘stones you throw’, travelling far and wide and affecting a lot of people- more than we may know. So, this song calls us to be careful, upon knowing that how we carry ourselves, what we say, what we don’t say, and how we behave, all can have a positive or negative impact in and on the world we’re living in today- a very much humbling moment this song brings to the fore. “More” is a confession of love to another, very personal, and quite possibly a ‘letter’ that you would probably never send to your ‘crush’, because of her vulnerability and personal nature of it, while a song like “Sparkling”, with all its acoustic and Taylor Swift-y stylistic atmosphere, is full of wonder and joy, as Marie uses this song to show that love in all its facets (in this particular track its speaking of romantic love) ought to have a sparkle at all times, even if we may not necessarily ‘feel’ it at that moment. And then there’s “Two to One”, “The Lonely Ends” and “Glitter Gold”, my favourite three songs on the album. Not that the other songs by Marie aren’t that great, it’s just that for me, these three tracks have become anthems if you will, as I myself have been greatly impacted positively as I hear these tracks. “Two to One”, first off, is about a union and partnership between two peoples (spouses most likely) and how they are going through a rough patch in their relationship. Rather than quitting and throwing in the towel, the song depicts an honest and real relationship in how both these individuals long to get back to the day where two becomes one, where the union was real, honest, and much more ever-lasting and impacting than it is currently. While on the surface, the song is about two people in a relationship, I can’t help but think. How a relationship is between a man and a woman is exactly how it is between Christ and the church, since we are all made in His image. “Two to One” can also be a reminder that the Lord wants us to come back to a union between Himself and His creation, and that maybe, just maybe, Marie Miller and this song can be a catalyst for anyone who hears it to look deep within and see if their relationships, both earthly and heavenly, need repairing or assistance. Or as Marie Miller states herself- ‘…we wanted to say something [in this track] about the growing pains that happen in a relationship and how ultimately those things are what make us stronger and more unified. It’s bit of a tribute for those married couples having a hard time but who continue to stick it out for love of each other…’ “The Lonely Ends”, the last track on the album, invites us into a melancholy moment of revelation, that it is only when we are with our true love and beloved that our loneliness can truly be rid of- and even if we are still single (like myself), the song can still ring true, as we all know that our beloved and true love (aside from our spouse with I’m sure the Lord has in store for us when the time is right), is Jesus Himself. “Glitter Gold” is the remaining song on Letterbox, and is by far one of the most emotional and impacting. This is hard-hitting and heartfelt at its purest, as the track was written with a friend of Marie’s in mind, one who had sadly lost their way. Since this album is called Letterbox, Marie and this friend probably haven’t been in contact that much lately, so this letter is her way of hoping that everything is ok. More so, the track is sure to become an anthem where people encourage anyone that they know who has lost their way temporarily, hoping and praying that they come back for help and guidance in their own walk in life. “Glitter Gold” is about looking at the potential in people, and mining for the gold in and amongst all the shiny glitter. A song that is certain to be one of my favourites come the end of 2017, Marie has certainly delivered on this track, and every other on Letterbox! ‘…call me old-fashioned, but I still write letters. We live in a world where everything is on a screen that contains basically all of reality in digital form, but we are physical persons. We like to hold things, real things, pieces of paper that contain words like, “I’m sorry” or “I love you”, and because they do they can’t be deleted to say something else. These songs are not just songs written in a vacuum that could be for anyone. These songs are my letters, pieces of paper with real things. How much of art is simply saying something to someone that you just couldn’t say to their face, so instead you just tell the whole world? So I decided to call the new album “Letterbox”…[on April 28th] you will have the key to my letterbox for 2011 – 2016. Open with care, and make sure to put all the letters back after reading. Sorry in advance for the smudges from tears and the red wine stains. These things happen…’ Letterbox, upon reflection, is quite possibly one of my favourite albums of 2017 thus far. Even though there is no mention of ‘God’ or ‘Jesus’ inside these 12 tracks, what I do know is this- these songs are full of heart and emotion that I’m sure the Lord will use these songs to minister to people where they are at- I know I’ve been ministered to through ‘Two to One’ and ‘Glitter Gold’ to name a few. On the whole, Marie’s first full-length album (after her quasi-popular EP titled You’re Not Alone in 2013) is certainly a bright spot for anyone who loves folk/acoustic/pop, with an inspirational/emotive aspect to it. Marie’s joyous singing and folk atmosphere are able to carry the album as each of these 12 songs remind us of life, faith, God and the journey towards us living a life full of hope, encouragement, zeal and enthusiasm. A great job for Curb in cultivating the music of Marie, this album has come as a welcomed surprise for 2017, maybe even one of the surprises for me since the introduction of Lauren Daigle, Jordan Feliz and Zach Williams in 2014, 2015 and 2016 respectively. Well done Marie for such a heartfelt and compelling album, and one of the artists I reckon will continue to be a crossover success in the upcoming months ahead!